An new edition on gold investing is in the works. 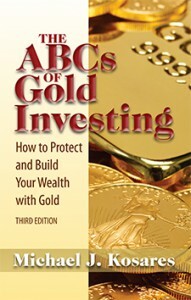 The ABCs of Gold Investing—How to Protect and Build Your Wealth with Gold, is scheduled for release in the Fall 2004. The author is Mike Kosares, of Centenniel Precious Metals, Denver, Colorado. Addicus Books first published the title (The ABCs of Gold Investing) in 1995. Addicus Books is launching a new line of consumer handbooks on divorce. The books will provide answers to commonly asked questions about divorce in a specific state. 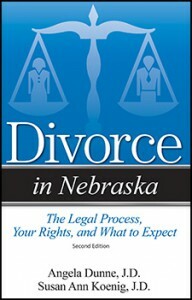 The first book planned is Divorce in Nebraska—The Legal Process, Your Rights, and What to Expect. Attorney Susan Koenig has been signed to the project. 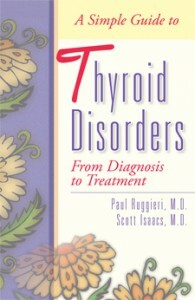 Scott Isaacs, M.D., co-author of A Simple Guide to Thyroid Disorders, appeared on CNN Headline News with Kat Carney in early January, 2004. January is National Thyroid Awareness Month. Dr. Isaacs is an endocrinologist in Atlanta. 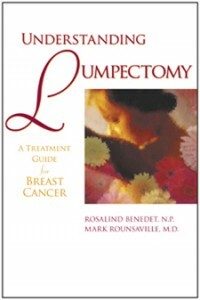 His co-author, Paul Ruggieri, is a surgeon and professor of surgery at Harvard Medical School. Foreign rights for Understanding Parkinson’s Disease, by David Cram, M.D., have been sold two publishers: Distribuciones Alfaomega, Madrid Spain, and Ciencia Moderna, Rio de Janerio, Brazil. Both publishers will publish the book in Portuguese. 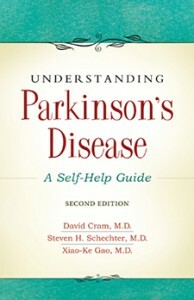 Since his own diagnosis of Parkinson’s Disease, Dr. Cram has written four books, including The Healing Touch and Coping with Psoriasis, also published by Addicus Books.